One of the fist decisions which needs to be made when building and marketing a website is web hosting. While price is always a factor, choosing based simply on the lowest cost can be a mistake. No one wants to overpay for website hosting, but it’s important to choose a reliable hosting provider who offers the features and services you need. 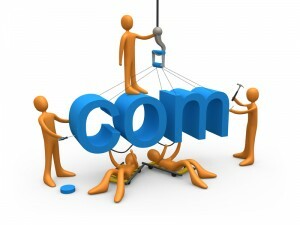 Additionally security and customer service should play a primary role in choosing a website hosting company. If your business primarily targets customers in a particular geographic region, purchasing hosting in that region may also provide search engine visibility benefits. The old adage “you get what you pay for” certainly applies to web hosting. Being visible to new customers online is extremely important to many businesses in today’s market. 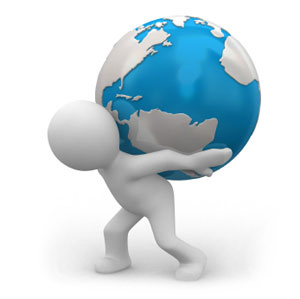 Cut rate web hosting companies often overload their servers or double sell bandwidth. Since the lowest cost web hosting will usually be less reliable, this can significantly damage your digital marketing efforts. If you’ve invested in a high quality site and are actively marketing it through SEO or PPC, frequent downtime or slow page speed could cost you hundreds or even thousands of dollars. Total Web Services provides our customers with friendly, knowledgeable support. Most large web hosting companies only offer support through a ticketing system. They also restrict the issues they will help with to billing and account access. When you need help using your website they will simply refer you to the support forums, leaving you with hours of research or unanswered questions. With Total Web Services you can reach us by email, chat or phone during business hours. Our knowledgeable staff is happy to help you get the information you need to get the most out of your web hosting service. At Total Web Services we take your website security seriously. Our system automatically monitors your site for unauthorized access, malicious software, and other security threats. In the event that a security problem is detected, we help to resolve the issue and get your site back online fast. Are you using secure file transfer? If not your site is at risk for one of the most common website hacking tactics. We support our clients in using secure file transfer to reduce the risk of unauthorized access. If you own a local business, hosting your site in the area where your customers live may provide a boost to your rankings on Google. In our understanding of web content, Google considers both the IP address and the top-level domain (e.g. .com, .co.uk)… we often use the web server’s IP address as an added hint in our understanding of content. The above referenced article is several years old, but Google’s understanding of the geographic implications of IP addresses has only increased over that time. While it is not a make or break factor, hosting your site locally will provide a bonus to your site visibility when your local customers search Google for businesses like yours. For more information, or to host your site with us, just get in touch!